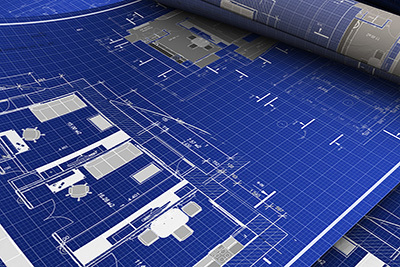 The word "blueprint" makes us think of white line drawings on a deep blue background showing beautiful old buildings, or ships, or historic city plans. This introductory course visits the development of blueprints within the construction industry, and shows the student what to expect in a contemporary construction drawing set, and how to understand scale and symbols in drawings. There is hands-on experience with drawing simple scaled drawings. The later lessons in this course review the place of CADD and more advanced 3-D and intelligent building modeling as "blueprints" morph in the world of e-technology.